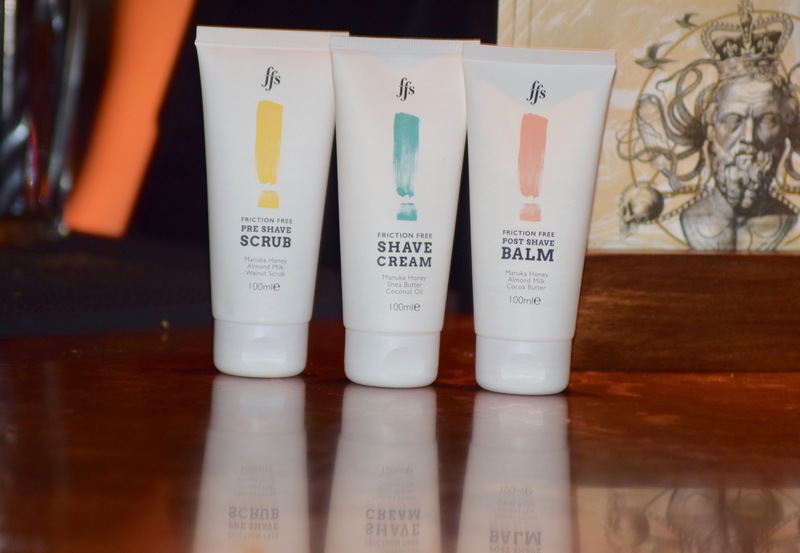 If you follow me on social media, you will probably know that I recently spent the evening at the Alchemist in Birmingham with Friction Free Shaving, as well as some amazing bloggers. 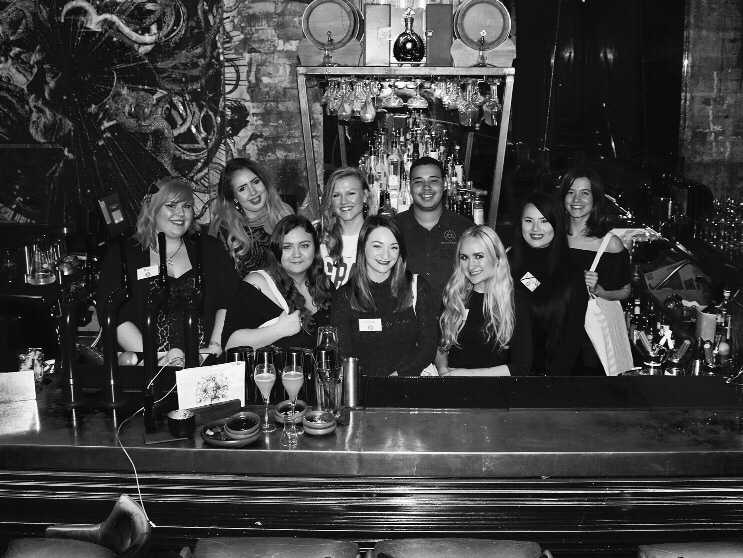 We had a lovely evening learning how to make cocktails, chatting and taking plenty of photos, so here’s a little rundown of the night, including a review of the goody bag given to us at the end! The setting was perfect for an intimate night. The small group of bloggers made the atmosphere really lovely, as you could chat to absolutely everyone, including the brand! The Alchemist was the perfect setting, and Caleb (our cocktail teacher for the evening) also made the experience very pleasant, even if many of us struggled to count to three when it comes to vodka- oops! Melissa and Amber (the FFS PR team) were so welcoming and friendly all night, and they were also open to giving pointers and answering any questions we had! It was really nice to go to such an intimate, personal event where everyone could get to know each other. Hmmmm… When Caleb made us cocktails, they were lovely. When I made them? Not so much! I didn’t actually realise how difficult cocktail making is, and I couldn’t imagine having to make so many of them in an evening- your hands get so cold! It was a really fun experience though, and everyone at the event had a little giggle! My turn! Photos taken by the lovely Abbey! Some of the cocktails changed colour, smoked, it was amazing- just like being in a real laboratory! FFS were very generous in their goody bag indeed, as we each received a FFS gift box. These are currently on their website for £25, and would make the perfect Christmas gift! Inside we have a gorgeous, vegan razor (weighted for an easier shave) in either rose gold (Rose) or silver chrome (Silvia) as well as four blades, a blade cover and a little suction hook to hold your razor handle. Then we have three more products- two of which are brand new! The shave cream has been around for a while and has even won awards, and it smells absolutely beautiful! And the two new additions are the pre-shave scrub, and post-shave balm. This means that in one box you have eveeeerything you could possibly need for the perfect 3 step shaving process, and for only £25! All of these products are cruelty free, although the scrub and the balm are currently awaiting their official CF badge as they are BRAND NEW! This would be the perfect gift for someone else, or even for yourself, this Christmas. 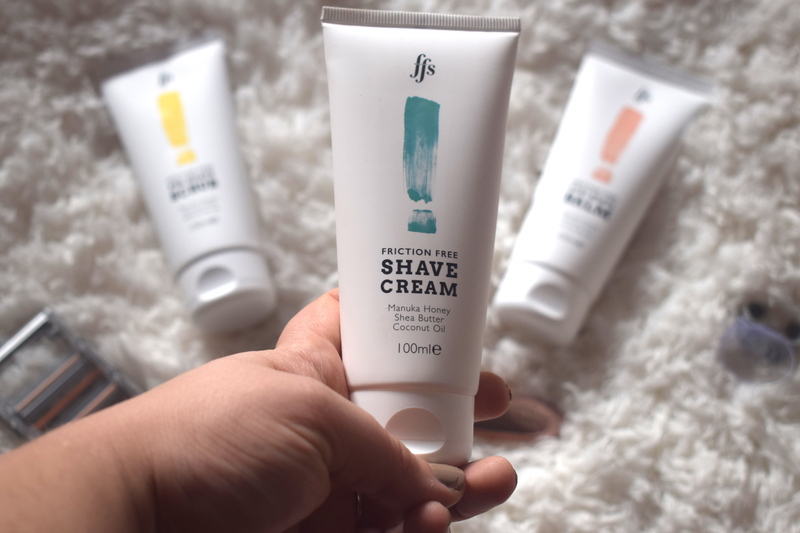 I absolutely love the Rose razor from Friction Free Shaving, and have actually done a full review before which you can read HERE. However, I have not tried the shaving cream, scrub or balm, so I was very excited to give these a test! I found that using all three products together left me feeling the smooooothest I ever have in my life.. like a dolphin! 🐬🐬🐬 I knew I would love the scrub, as love exfoliating, and I’ve always found that a good exfoliation pre-shaving makes my skin so much smoother and leads to less ingrowing hairs. The scent of this scrub is absolutely lovely, and it’s gentle enough to be used on your more delicate areas, such as under arms, whilst still exfoliating. The shave cream was a dream (that rhymed, haha!). I have always wanted to use a shave cream, but due to my aloe vera allergy, I haven’t really found one that works. So, I often resort to conditioner, but this leaves me feeling greasy and not too great! This cream worked perfectly to add smoothness to my legs, as well as not leaving them feeling greasy, I am VERY impressed for sure! And, last but not least in this three-step process, it’s the post shave balm! I. LOVE. THIS. PRODUCT. I hate moisturisers, there, I said it. I find them too heavy for my skin, and they never seem to fully absorb and leave me feeling sticky and icky. I was a little worried about this product for that exact reason, as although it is a lot thinner than your usual moisturiser, it seemed to apply in a similar manner. But, after around 30 seconds, I realised I had it completely wrong. This product soaked into my skin SO quickly, and didn’t leave that horrible sticky feeling at all! This is genuinely perfect for me, and now my legs smell amazing and are super smooth too! I’m not even joking, they were still smooth 24 hours later, I was amazed! The only criticism I have for FFS is that they’re draining my bank balance, as I’m now for sure going to have to add the scrub, cream and balm to my subscription! *This post is in exchange for these products and this amazing event. Previous Post Blogmas 2017 Day 11: The best (un)official Christmas films! Next Post Blogmas 2017 Day 13: Stocking Fillers For £5 and Under!